During the 13 months since the moratorium, five death sentences have been overturned. Oregon courts overturned the death sentences for Robert Langley, Dayton Rogers, Jeffrey Sparks, Jesse Fanus, and Travis Gibson. 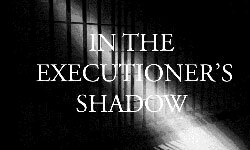 In each case, the court found that the death sentence was the product of an unconstitutional trial that resulted in an unfair and unreliable result. For example, the late Judge Timothy P. Alexander overturned Travis Gipson’s death sentence after finding the failure of Gibson’s original attorney failed “to demonstrate a true understanding of how to defend his client” at his trial. 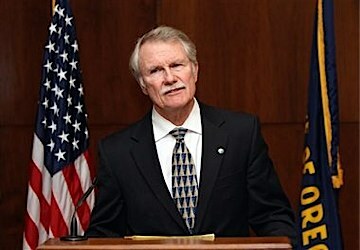 When he announced the moratorium, Governor John Kitzhaber stated: it was time for Oregon to consider a different approach. “Juries, prosecutors, and judges have responded to Governor Kitzhaber’s call for reconsideration by repeatedly reaffirming that the death penalty system is broken. They have also told us that a life without parole sentence is a preferable alternative,” said Jeffrey Ellis, Director of the Oregon Capital Resource Center. “Oregon’s death penalty has never worked. Instead, when death sentences are imposed, we spend millions of dollars and wait decades for cases to eventually be resolved to life sentences. On the other hand, when life sentences are imposed, the cases quickly conclude. In response, the use of the death penalty in this state has fallen dramatically,” Ellis added. “Oregonians are practical people. We’d rather spend thousands on a life sentence, than millions on a death sentence that will become a life sentence many years later,” he concluded.